Perched high on the hill with amazing water, City & mountain VIEWS & NO wires! This is an immaculate home with Oak hardwood floors, generous living / dining rooms with an eating area and family room off the kitchen.Bay windows, French door to VIEW deck off living space. Newer paint & carpeting as well as renovated bathrooms, halogen lighting and 2 gas fireplaces. 4 bedrooms, two of which are ensuite. 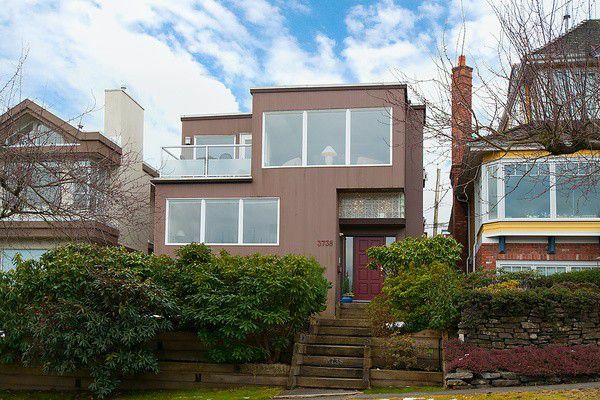 A bright home with skylights, hotwater heat, 2 car garage and a private south facing backyard. Quiet setting close to Almond Park, Pacific Spirit as well as Jericho Beach. Lord Byng, Jules Quesnel school catchment.